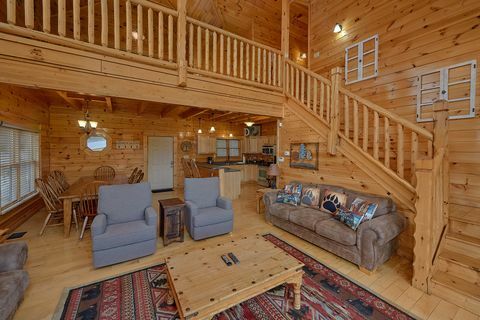 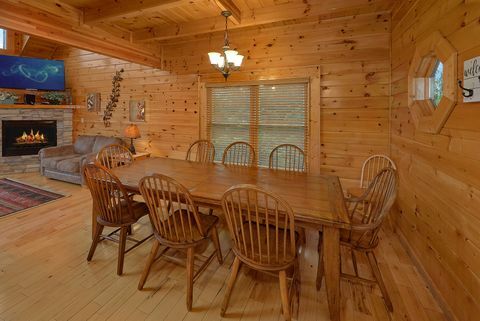 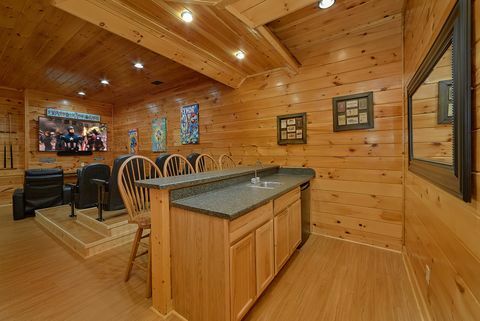 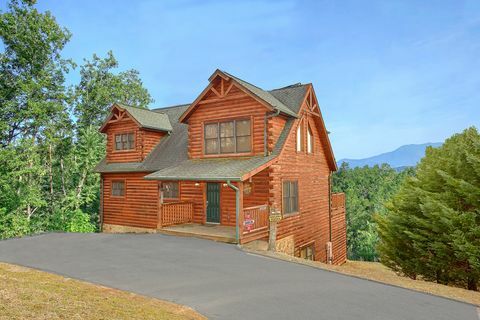 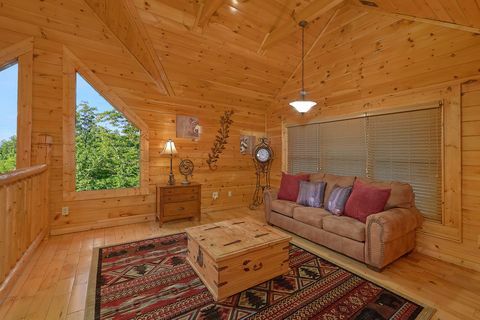 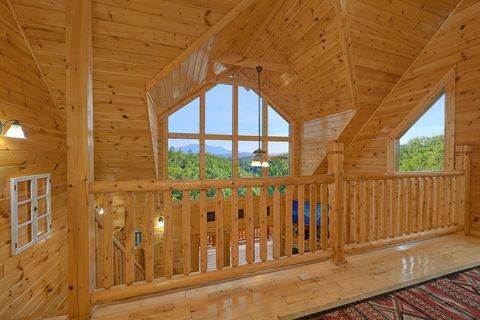 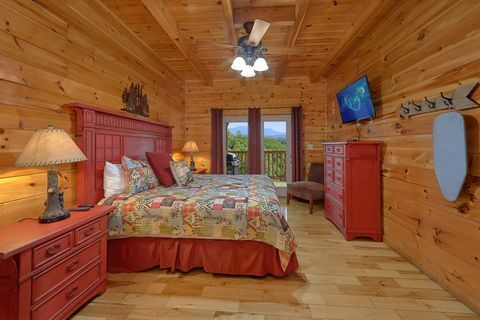 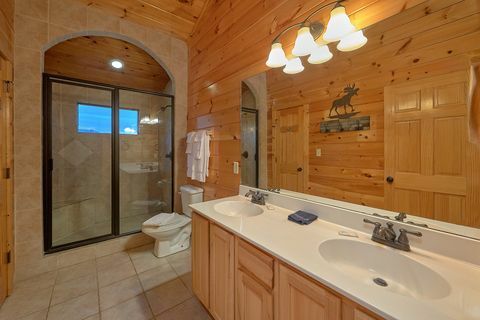 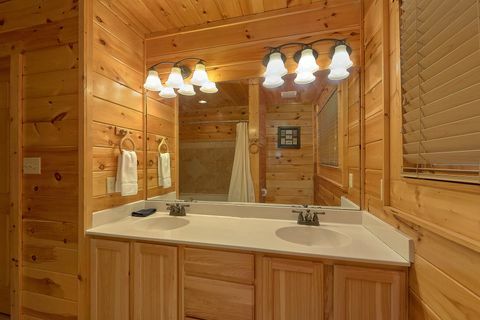 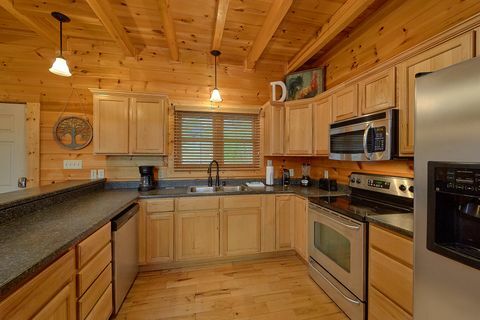 This upscale, 5-Star view cabin in Pigeon Forge offers guests some of the best Smoky Mountain views, luxurious furnishings, and an unbeatable location! 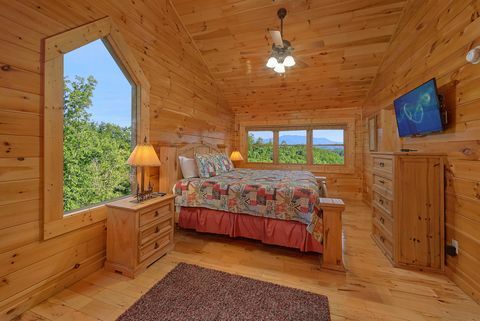 This cabin with a mountain view features fantastic glimpses of the Smoky Mountain from each of its elegantly furnished 3 king-size bedrooms with a personal television. 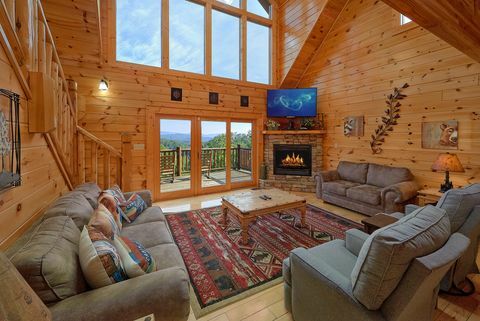 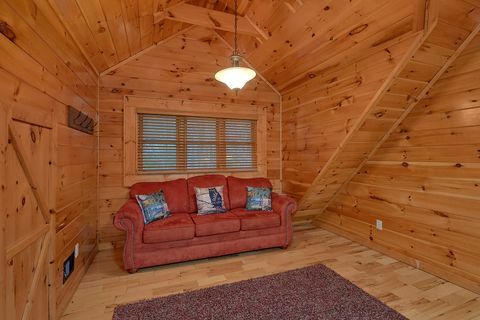 You can also enjoy mountain views with this cabin's ample space to entertain outdoors. 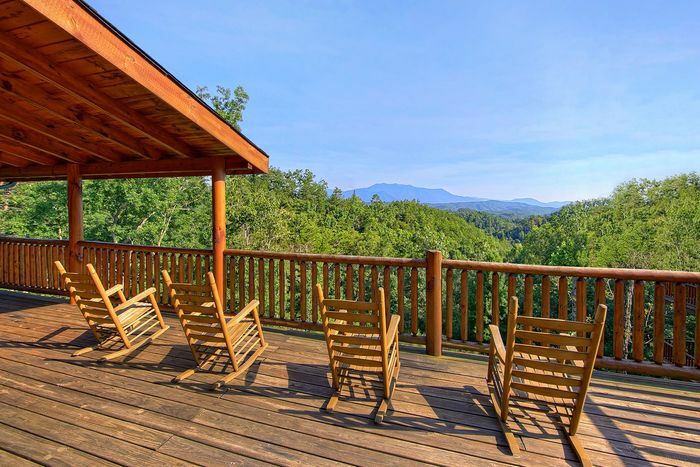 Its two-level deck features several rocking chairs, a hot tub, and a gas grill provide space to relax and entertain in the mountain air. 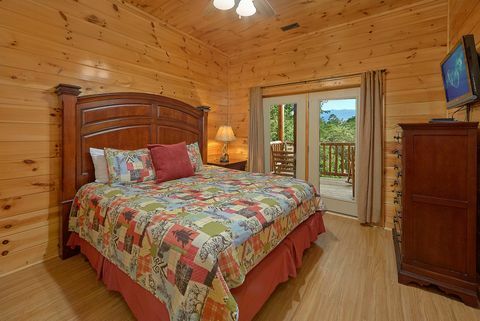 Your cabin also offers a comfortable interior for a cabin home away from home. 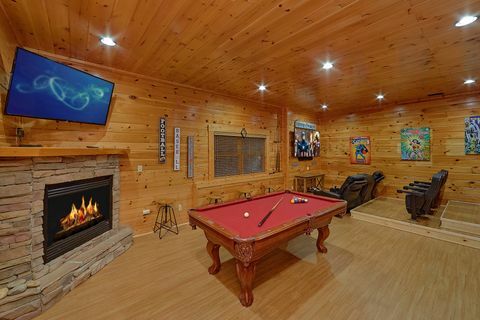 The spacious living room with a gas log stone fireplace, gigantic picture windows, and comfortable leather seating, creates the perfect space for parties and entertainment. 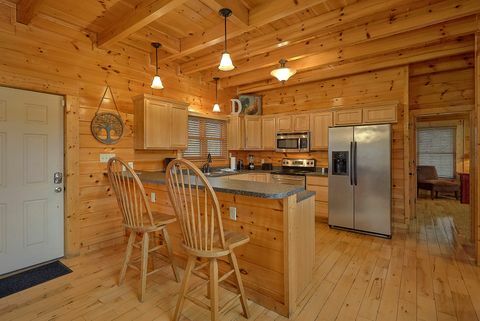 The roomy kitchen provides the perfect place to prepare snacks, family dinners, holiday meals, and more. 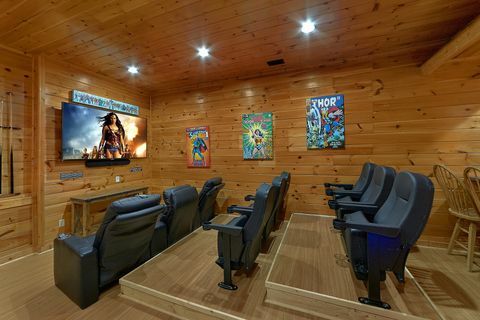 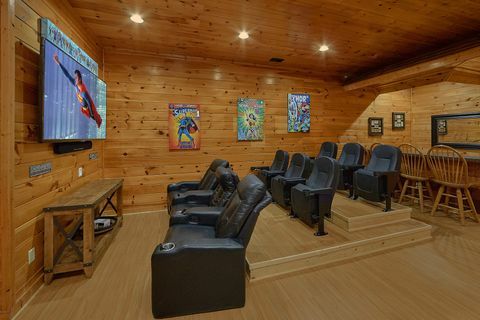 Enjoy top-notch entertainment in the theater room, where the whole family can watch movies on the big screen with theater-quality sound. 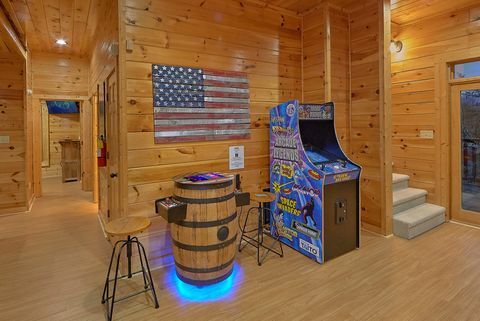 Later on, the family can enjoy endless game room fun with a few rounds of pool or try their hands at scoring big on one of 124 games on the standing arcade game. 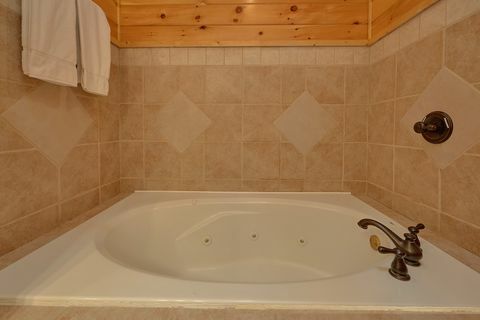 In addition to great views and a comfortable interior, "Absolutely Viewtiful"'s convenient location places guests close to Pigeon Forge attractions, restaurants, shopping and with easy access to Gatlinburg and the Great Smoky Mountains National Park.